Today has been a very important day. For the first time I have spoken to my son in English while being with other people. It has been some weeks that I wanted to meet some friends and I have finally done it. My friends and I have meet to have a coffee and chat a bit. One of them is expecting a baby and the other two have one baby too. Can you guess what did we talk about? Of course! Babies’ clothes, food, toys, gadgets... you always learn new things from your friends. But let’s get to the point. Before meeting them I had decided that I wouldn’t talk to my baby in Spanish this time, that I was going to do it in English and I did it! The problem was that I was a bit shy and for two hours I didn’t say a word to my son! When I realized I was avoiding talking to my son I started saying something in English to him. None of my friends said anything to me about it. Either I spoke to him in a very low voice or my friends were too shocked to ask me anything. I had only talked to one of them about this decision and when the other two friends had gone home I think I felt more relaxed and I started to talk to my baby a lot. This time I used a normal tone of voice and I felt very very well. This friend didn’t’ say anything to me either, I guess the fact that she knew that I wanted to raise my child using English helped her to understand what I was doing. She speaks to her son in Valencian (another official language in Spain ) I’m not sure it is her mother tongue, I don’t think so but it is a very important language where she used to live. I think this is why she didn’t say anything to me. We are doing something similar but in different languages. I think the key to start speaking in front of other people has been having in my mind that even if I make some mistakes or if my English accent sounds too Spanish, I believe I am doing a good thing for my son. Some people will think what I am doing is right, others may think it is wrong, and they all have their reasons to think the way they do, as I do as well. 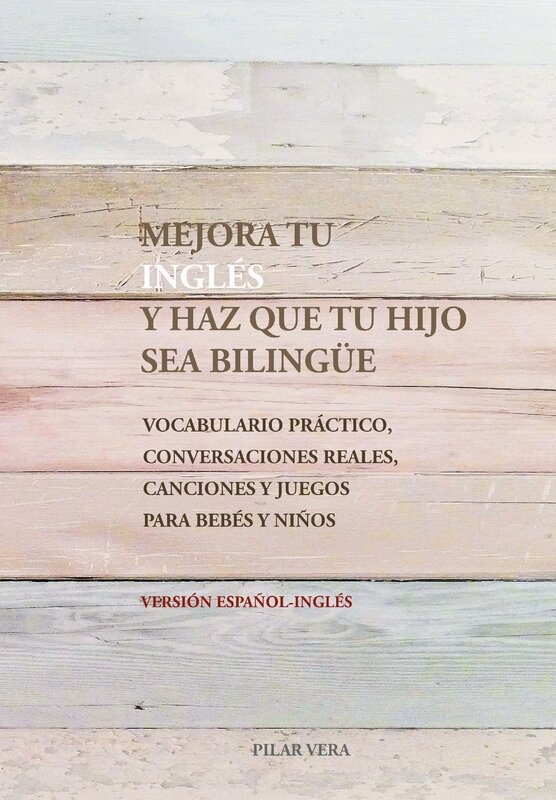 I have to admit that speaking to my child in English in front of other people is a difficult step to take. The fear of being criticized is there. Somehow I want to do things that are accepted and understood by everyone else, and I’m not sure if this is one of them. I hope I don’t have to deal with many negative comments. If this happens I will write here how I have decided to deal with it. And if there are positive comments I will write it too! Hello Pilar! I discovered your blog some days ago from your Whatsapp status. First of all, congratulations! I didn't know you were a mummy already. And secondly, way to go girl! :-) I love what your doing, and I love the idea of posting your feelings about it to encourage other people to do it too. I'm not planning on being a mum anytime soon, but my husband and I have always agreed on soeaking in English with the baby or everytime the baby is around. When I explain this to my friends, some of them don't understand it, or they say that it's going to be hard, that you can't make the baby feel the same way as when expressing yourself in Spanish and I don't agree. If I can do it with 30 students at the same time, solving their conflicts, explaining dificult concepts and giving they my love and caring.. Why am I not going to be able to do so with my own?! So congratulations on what you're doing, I think it's the best for your child, it's not easy sometimes, but one has to do her best! Hi! It is great to hear from you! 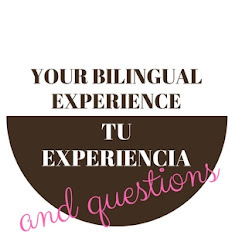 It has been almost 5 months now that I have started this adventure and as you say, sometimes it isn't easy, but I truly believe in what I am doing and it is true that being a teacher and having seen how students starting learning English from scratch get to speak very well, helps a lot to have the energy to do this. The first month was a bit hard, after that using English to raise my child is going very well though. Your idea of speaking in English with your husband every time your children are around sounds great too. What you plan to do is speaking both you and your husband in English to your 'future' babies or only one of you? Sorry for the late reply... I've been crazy busy! So glad to have come across your blog!